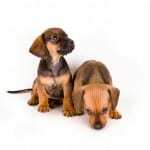 Pet Deposit for Companion Animals, Is it required? Tip #54: Pet Deposit for Companion Animals? NO!! In my great State, a companion animal–as well as a service animal–must be permitted in the property without an increased deposit. Though some conscientious applicants will offer a higher deposit for their pets, the increased deposit cannot be required. This is one of many previously grey area rules we must be careful to consider to comply with Fair Housing.Submitted by James Safonov, property manager with HomePointe in Sacramento, California, jsafonov@homepointe.com. HomePointe provides full service property management, leasing, accounting, and maintenance.